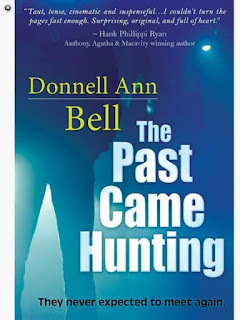 Award-winning suspense author Donnell Ann Bell stops by today to share a dinner recipe and a super deal. Learn more about her and her books at her website. Whenever our esteemed host invites me to blog, I’ll admit there’s an intimidation factor involved. You see, I have it on good authority Lois Winston, the author of the award-winning Anastasia Pollack series, is the MacGyver of crafting. She can take a shoelace and turn it into something ornamental or useful. At the end of every book, she provides some clever arts-and-craft project for readers. So, when she says write something crafty, I’ll pass. However, I do like to cook, and today I’d like to talk about our diets, e.g. our meals, and how they have changed over the years. Side note: I’m still trying to figure out how Anastasia (whom the author describes as a pear-shaped woman in her forties) manages to consume all those delectable treats the food editor brings to the office daily. I asked Lois when Anastasia was going to start working out. Her reply? She doesn’t have time; she’s busy solving crime. I should probably stop picking on Anastasia—and Lois. I admit in my debut book, which was the most home-and-hearth book I’ve written, my protagonist Melanie Norris did not cook the most low-calorie fares. A working mom, and widowed, her best friend was the crockpot. Typical meals were pot roasts or spare ribs. She was on a first-name basis with pizza and when she went out to dinner with the hero protagonist, they ate Chicken Parmigiana. And, no, she didn’t work out, either. She was too busy trying to hide a secret from her son, avoid the cop next door, and the ex-con who swore revenge when her testimony sent him to prison. Priorities, you understand. Let’s face it, diets have changed significantly in the last ten to fifteen years. We have gluten-free, vegan, vegetarian, the Zone, Atkins, the Keto Diet—the list goes on. If I were writing The Past Came Hunting today, chances are the meals I’d feature would be much healthier. I’d probably include more salads, less sugar and less bread. But through it all, the two consistencies I would insist on would be convenience and ease. One such recipe would be Salmon with Lentils. Not only is it healthy, it’s affordable, filling, and delicious. Four 8-ounce center-cut salmon fillets. Brown onions and garlic in olive oil. Add stock and lentils. Bring lentils to a full boil. Cover and reduce heat. Lentils cook fast and generally are done in about 30 minutes. Place sheet of aluminum foil on counter. Coat it evenly with olive oil and distribute salmon fillets. Season lightly with breadcrumbs. Wrap salmon in the foil. Depending on the weather, cook the fish on the grill or in the oven at 350 degrees. Thankfully, my books aren’t all about cooking, there’s some suspense, romance, and always a happily-ever-after. 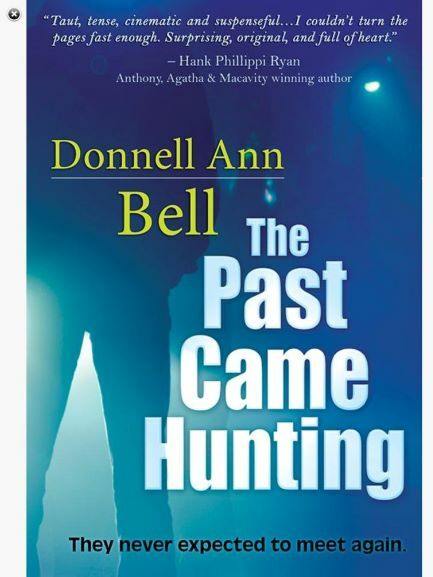 The reason I mentioned The Past Came Hunting is because it’s on special today for .99 cents on all digital outlets. The Past Came Hunting is a book close to my heart as I wrote it when my son went off to college, leaving me an empty-nester. It’s won plenty of awards, and I think you’ll find emotion and a lot of love in this book. If you haven’t read it yet, I hope you’ll add it to your to-be-read pile. Finally, here’s a question for you. Are you like me and pay attention to what the characters eat in books? Do you worry when Anastasia will start working out? 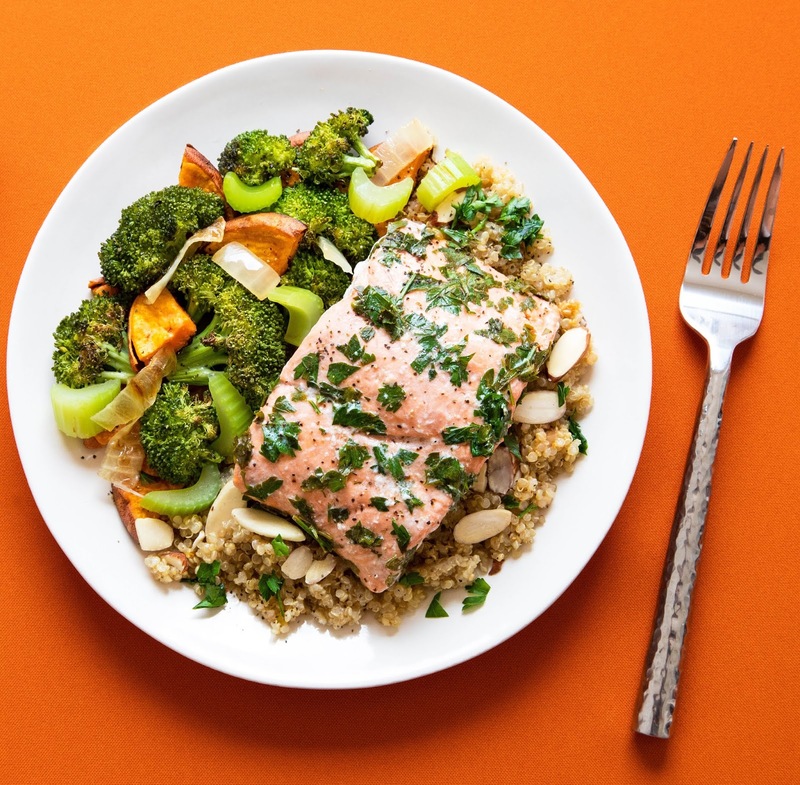 What’s the healthiest meal you prepare or the most decadent? Fifteen years ago a young Colorado Springs police officer arrested a teen runaway accused of aiding a convenience store robbery and attempted murder. She was innocent, but still served prison time briefly. Her testimony sent the real thief to jail for much longer. Now she’s a young widow raising a son, and the man she put in prison is free and seeking revenge. She moves to a home in a new neighborhood—then learns that her next-door neighbor is the by-the-book officer who arrested her. Now he’s a Colorado Springs P.D. Lieutenant. Like it or not, he may be the only one who can protect her and her son from the past he helped create.